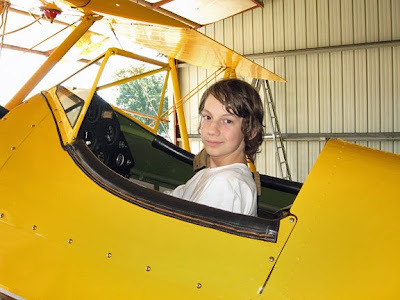 Flying Antique Airplanes: Can we get a biplane dad? Can we get a biplane dad? Sky trying on a Creve Coeur Stearman for size. Now he's got the "Stearman-cough!" Creve Coeur pilot named President of EAA! Getting ready for Big O.